Like almost every Winter, I've been attending some courses that are arranged by the Ministry of Education and are free of charge (except for the materials that you buy yourself). This Winter I'm continuing my two-year Jewelry course for its second and final year. 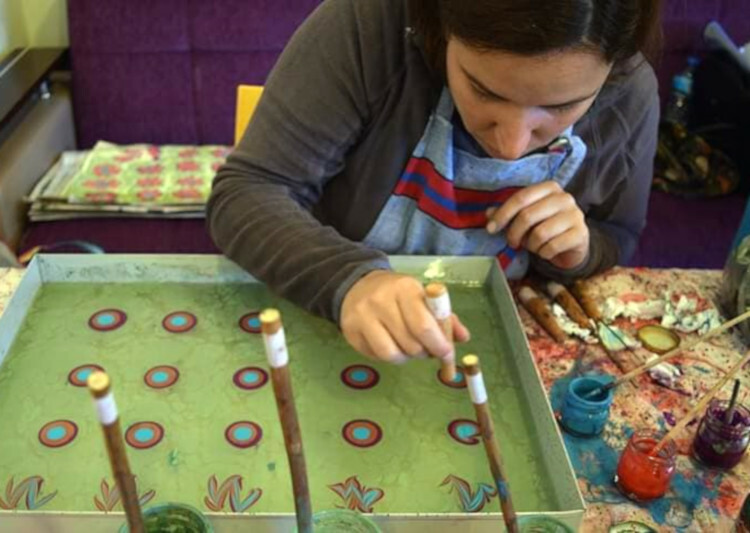 More interestingly, I have been attending a Marbling Paper course, or as they call it in Turkish, Ebru Sanatı. Something that is not done much anymore in Europe, but is in Turkey a traditional form of art. While in Europe it was a popular thing to use for handbound books (which in itself has almost disappeared), here there are many motives and techniques and are meant for framing. I missed a few weeks while we were away but I caught up pretty quickly. It is once a week but takes the entire day as it does take time to settle as you need a lot of stuff for it. It involves art and science as each layer of paint must be prepared differently so that it can push aside the previous layer. You also can not work hours on it and need to be pretty swift and transfer your piece on paper right away. 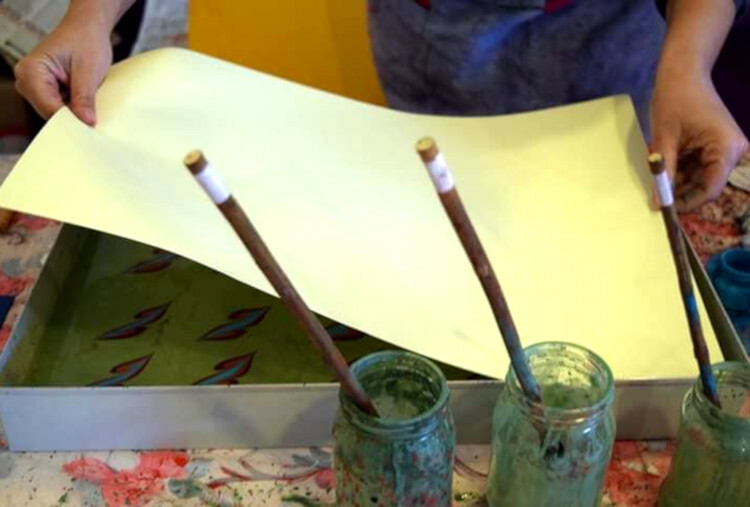 The water is of course not only water but contains a special seaweed which gives the water a consistency strong enough to let the paint stay on top instead of sinking. 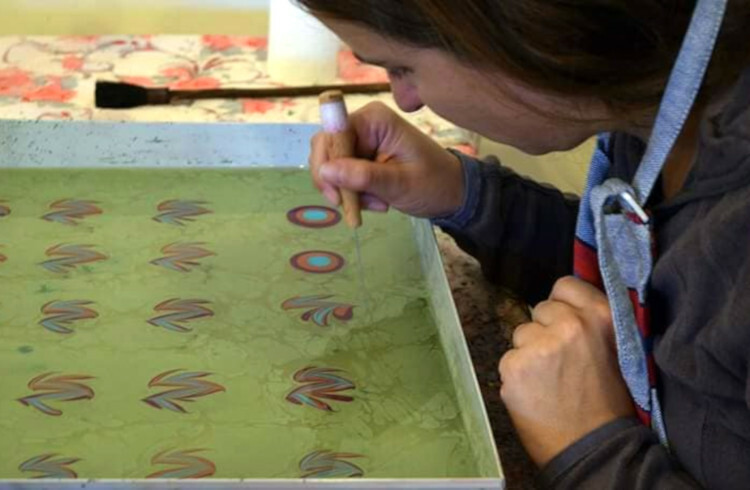 There are many techniques to marble and create motives. Our course is just a few months so won't be enough to learn all but it is a great start. 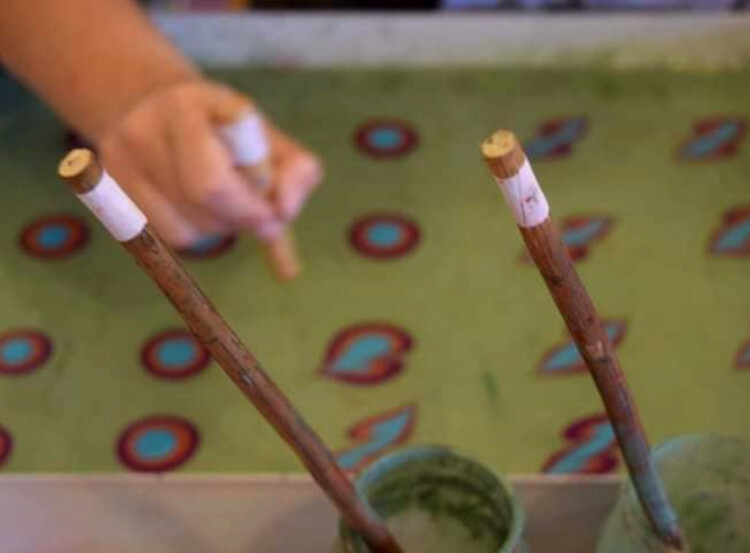 The brushes are also traditional and are made of rose branches and horse hair. "A day without learning is a day wasted. There is so much to learn and so little time to learn it." I did that once a long time ago. It was fun but it takes lots of preparation and supplies. But you can use it on all sort of items too. I still have a Xmas bauble I made...Can't wait to see what you're going to make! wow! that is such an intricate technique! and it looks like you're having so much fun with it too!